For a long time, the love affair between PlayerUnknown’s Battlegrounds and Twitch looked like it was meant to last. The blockbuster survival shooter captured the hearts of Twitch’s biggest streamers all through 2017, and, in August, finally dethroned Twitch mainstay League of Legends in the “most hours watched” category (73.7 million to 71.9). Now, Battlegrounds is officially on the downswing. There’s a new survival shooter in town—Fortnite Battle Royale—and it’s kicking the crap out of its glitchy predecessor, Battlegrounds. TwitchMetrics, which pulls data directly from Twitch, puts Fortnite’s average weekly concurrent Twitch viewership around 139,000, with Battlegrounds’ hovering at about 64,000. To anyone paying attention, Fortnite’s viewership numbers just about double Battlegrounds’. Arguably the site’s top streamer, Ninja, is dominating Twitch with his Fortnite stream, which garners thousands of viewers every day. Between late February and early March, he earned himself a plush 50,000 new subscribers. In recent months, huge streamers like Grimmmz and Summit1G who drew in hundreds of viewers every night playing Battlegrounds have instead been focusing on Fortnite. Fortnite is the most popular game on Twitch right now, which feels jarring, since Battlegrounds finally saw a full release in December, with a new map to boot. A few things are contributing to Battlegrounds’ slow demise on the platform that popularized it in the first place. Battlegrounds is glitchy. It’s not uncommon to get kicked out of a match for apparently no reason. It’s also overrun by cheaters (In January alone, Battlegrounds publisher Tencent banned one million accounts). The game thrived on Twitch because it was enchanting to watch streaming personalities weave together narratives from Battlegrounds’ chaotic gameplay, but when factors like server stability added to that chaos, staying tuned could get a little frustrating. The game’s top streamer, Dr. Disrespect, was known to rage-quit streams after encountering Battlegrounds’ numerous glitches. Lately, he’s been dipping his toe in Fortnite, too. It’s hard to say whether Fortnite is more interesting to watch, but it’s definitely more accessible to viewers. Fortnite is free, as opposed to $30, and beat Battlegrounds to console—significantly, to PS4, which has not yet seen a Battlegrounds release. Fortnite Battle Royale is also less demanding on PCs than Battlegrounds, which requires a pretty high-end rig to run well. Last month, Fortnite’s peak concurrent players across PC and console beat out Battlegrounds’ Steam-breaking PC record (3.4 million across all consoles to 3.2 million on Steam—and although we don’t have Battlegrounds’ Xbox peak concurrent player count, we know that in January, 3 million players played it). Ever since, Battlegrounds’ playerbase has been on the decline. 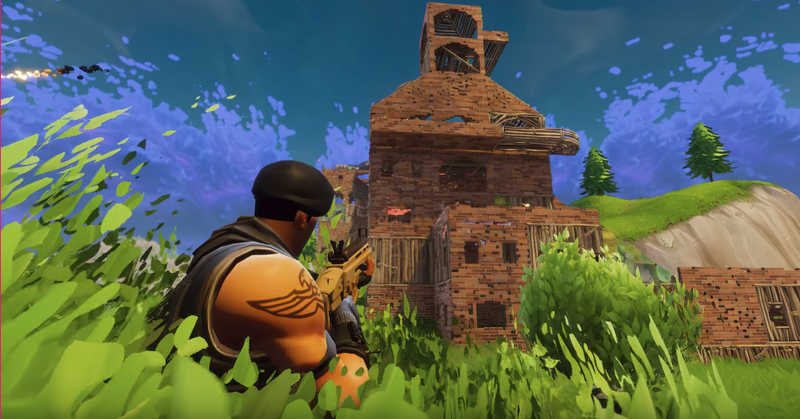 As Epic Games continues to release new content for players at a brisk pace, Fortnite’s longevity on looks pretty secure for now.